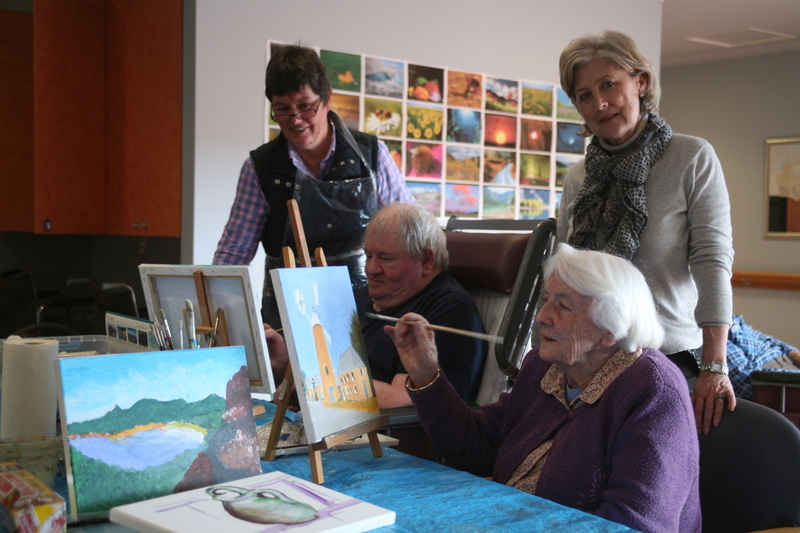 Carlene and Bobby help residents at Glenara Lakes with their art projects. LAS volunteers visit several homes for the aged to help residents with art projects. They visit Glenara Lakes, Aldersgate and Masonic Peacehaven where the residents enthusiastically welcome our members and appreciate their help.